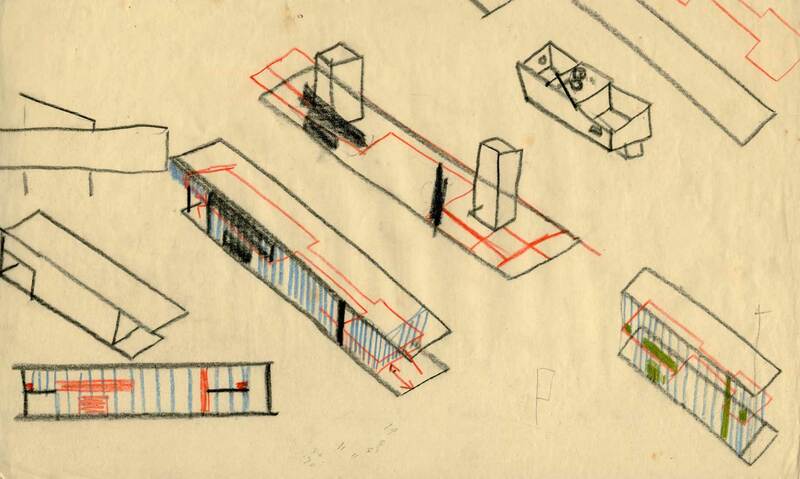 The AA Archives have recently acquired from Stephen Macfarlane an important set of drawings from the 1949-50 AA Fifth Year thesis of Bill Howell, John Killick, Stephen Macfarlane, Hugh Morris and Jill Sarson. The thesis was for the planning and development of the Neighbourhood Unit of Pin Green, Stevenage New Town, Hertfordshire and proposed to house a population of 10,000 in a mixture of single-storey residences, alongside 14 storey medium-rise towers and 27 storey high-rise towers. 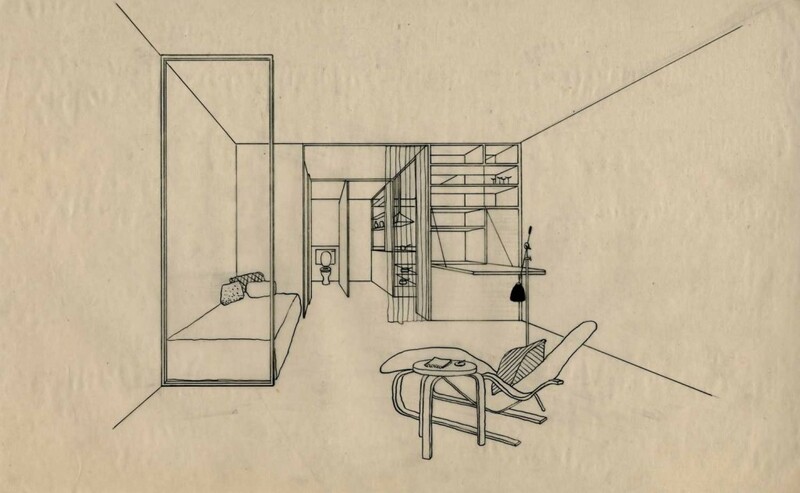 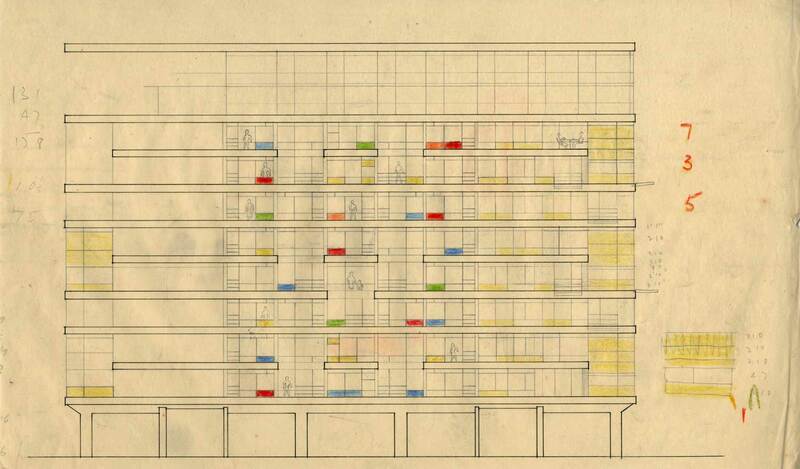 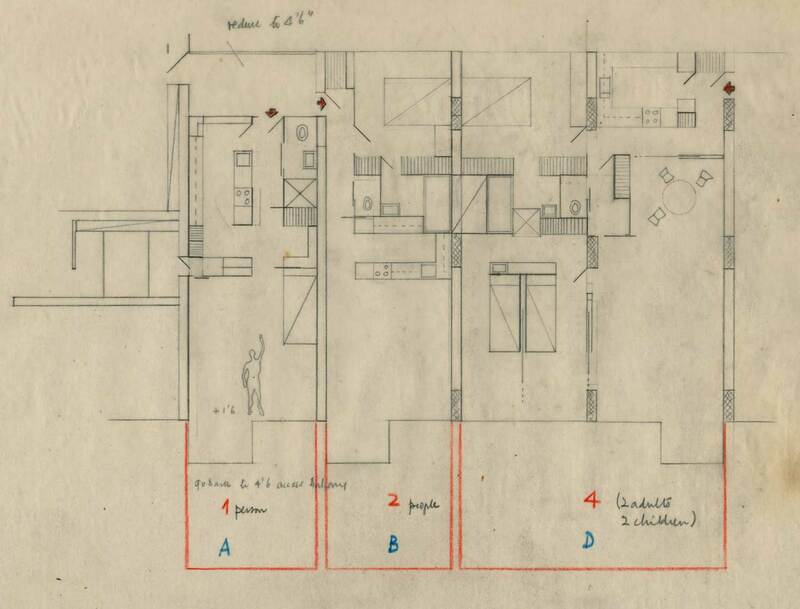 AA Archives: Drawings by Bill Howell, John Killick, Stephen Macfarlane, Jill Sarson, Pin Green, Stevenage New Town, 1951.